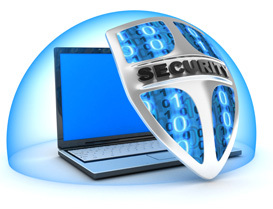 Shield Your Business From Cybercrime! Through a trusted partner, we offer a PCI compliant cloud based network management service and built in firewall router to ISOs, financial institutions and merchants as a recommended PCI compliant, fully managed transaction network solution. Cybercrime cost consumers upwards of $110 billion last year globally. Retailers’ networks are prime targets because of the sensitive data they hold. Our solution has been developed to protect payments at multiple retail locations and to simplify network security. It is a fully managed, end-to-end, cloud based payment transaction network which is fully PCI compliant. The solution incorporates a built in firewall which works on any internet connection and ensures that all on-site network traffic is totally secure. The solution requires no technical expertise on behalf of the user to install making it an affordable monthly fee making it an ideal service for small-to-medium sized enterprises (SME’s). Cybercrime cost consumers upwards of $110 billion last year globally.